Governance refers to the structures, systems and processes concerned with ensuring an organisation’s overall direction, effectiveness, supervision (control) and accountability. Having systems in place for both business and family governance are some of the best ways to ensure the sustainable management and long term success of your family business. This is because formal governance structures assist open communication between family members, reduce internal conflicts, nurture the next generation of leaders, and develop a shared family vision for the future. In addition, as a member of a family business with a material impact on the direction and strategy of the business, it is important you know your role and meet your legal responsibilities, as you may be as liable as any director on the board. The Family Business Directors Course is a two day session that establishes the value that a board brings to the business. It will also go over your duties, responsibilities and how to structure a board that is appropriate for the needs of your family business. This course is supported by the use of a case study to drive home the topics covered. James has focused upon a career in governance, strategy and risk management, working at the board and executive level, through his ownership of Effective Governance, itself a family business. More recently HopgoodGanim Lawyers have taken an equity stake in the business, which James still operates independently. Established in 1996, Effective Governance is Australasia’s largest and most experienced independent corporate governance consulting firm. James has extensive experience with family businesses covering areas from providing corporate governance advice to assists in establishing boards and advisory councils. 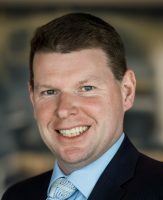 James has held numerous board and executive positions from being an Army Officer to Partner at PwC. He is also a co-author of Directors at Work – A practical guide for Boards. 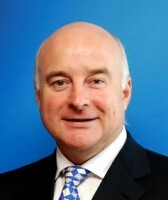 Bill is the partner in charge of KPMG Private Enterprise division in Brisbane. He has over 25 years experience in working with large private and family owned business clients providing tax, accounting and business advisory services across a range of industries including agriculture, property and construction, mining services, transport and motor dealerships. Bill has assisted in creating many and sits on a number of Advisory Boards of prominent private and family owned businesses. Bill is actively involved with Family Business Australia (FBA) and has been the National chairman of KPMG’s Family Business Practice since its establishment in 2005 which has included presenting at numerous FBA conferences as well as developing and writing thought leadership for the Firm in this area. Bill also leads Family Business Services for KPMG in the Asia Pacific (ASPAC) and represents ASPAC on the Global Family Business Services steering committee. Luke has significant experience in business succession, structuring, mergers and acquisitions. He represents a diverse client base comprised predominately of private and family owned businesses and high wealth individuals, throughout a range of industries and sectors. With a particular interest in family business succession, Luke has assisted a number of family-owned business clients achieve successful intergenerational transfers of ownership and control. He is also a non-executive director of OneHarvest, an Australian, family-owned grower, processor and marketer of fresh produce. Luke is ranked as a Leading lawyer by Doyle’s Guide to the Australian Legal Profession in Leading Commercial Lawyers – Queensland, 2018.